A file photo of acting IGP, Mr Mohammed Adamu. 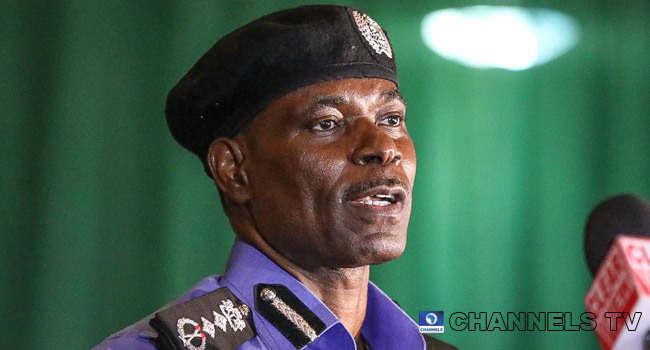 The acting Inspector General of Police, Mr Adamu Mohammed, has warned police personnel to shun activities that go against the mandates of the force, especially extra-judicial killing. He gave the warning on Monday when he visited the Lagos State Governor, Mr Akinwunmi Ambode, following the recent cases of extra-judicial killings recorded in the state. “Recently, we have had some overzealous officers who went out of their way in the course of performing their duties; they shot a lady and she died and we felt that that is not acceptable,” the police boss was quoted as saying in a statement by the governor’s chief press secretary, Mr Habib Aruna. He added, “It is unbecoming and I had to come down to talk to officers and men to remind them of their duties and to tell them that anybody that goes out of his way to commit extra-judicial killing, such a person is on his own and he has to face the wrath of the law. The IGP said it was on record that police officers in the state have been performing creditably well. He, however, decried the activities of those he said were a few unscrupulous ones denting the good work of others. On the purpose of his visit, Mr Mohammed said, “I came to pay a courtesy visit to the governor because I am in Lagos State to see the officers and men of the Nigerian Police. The police boss commended Governor Ambode for his support to the command and other security agencies in Lagos, saying many successes have been recorded in keeping the state safe. According to him, the governor is the Chief Security Officer in the state and all his policies towards fighting crime have been implemented by the Nigerian Police Force. Responding, Governor Ambode commended the IGP for taking it upon himself to promptly address the extra-judicial killings in the state personally. He said the visit showed responsiveness and seriousness with which the issue was being handled by the police boss.